BATTLE OF THE AI HEATS UP ! Is Cyberdene already here? I dare to compare: NVIDIA vs Intel AI denoiser. Bet on trueHybrid™ to give you this level of flexibility! 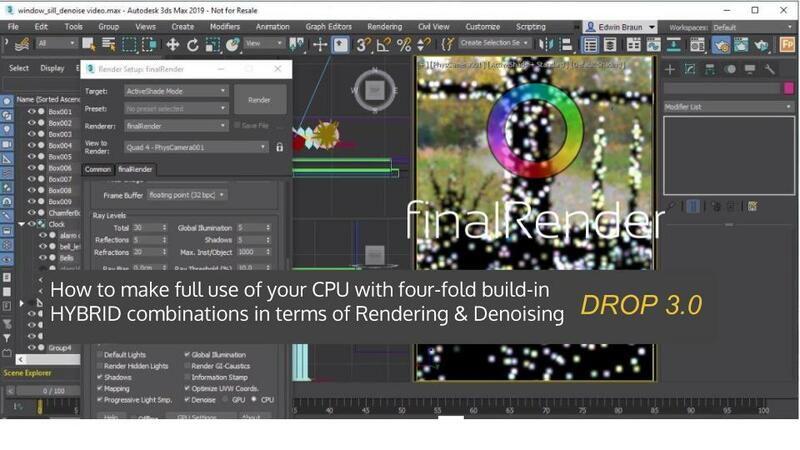 Other render solutions force you to switch between GPU or CPU, finalRender lets you use all the power you paid for!